Sylvia Scott Wortley died age 72 on Saturday, April 6, 2013, after a lengthy illness. REQUIEM aeternam dona ei, Domine, et lux perpetua luceat ei. Sylvia Scott Wortley died age 72 on Saturday, April 6, 2013, after a lengthy illness. 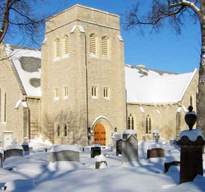 She will be affectionately remembered by all to whom she taught music (including the boys at S.J.R.,) by the many artists with whom she performed in the 21 years of The Musical Offering and by the faithful supporters of that project; by her fellow members of the Royal Canadian College of Organists, by her choirs and the congregations of the various churches she served, most recently (since 1993) of Broadway Disciples United Church. Her memory will be especially cherished by her husband, John Wortley, their children Elin, Jill, Anne-Marie, Joel and Adrian, their spouses and their children; also by her siblings, Ross, Linda and Lauris. A memorial service will be held at Broadway Disciples United Church, Kennedy and Broadway, at 11:00 a.m. on Wednesday, April 10, 2013, with reception to follow. Donations in lieu of flowers may be made to the Filmer Hubble Scholarship at the same church.